Our alma mater needs a new urn, imagine that....! Is that the last thing you ever thought I'd be asking for or what? 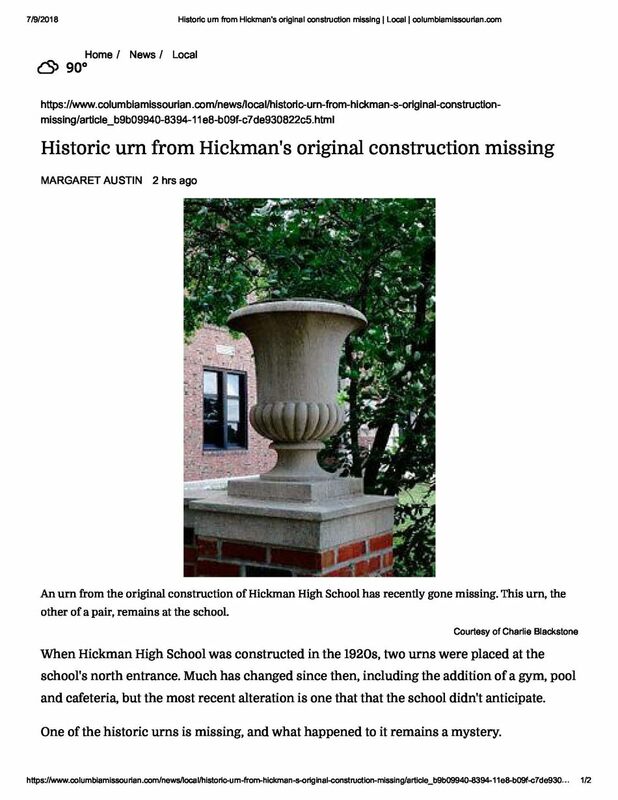 I am only asking if you have any knowledge of someone who could replicate this urn that still stands at the front entrance to David Henry Hickman High School. 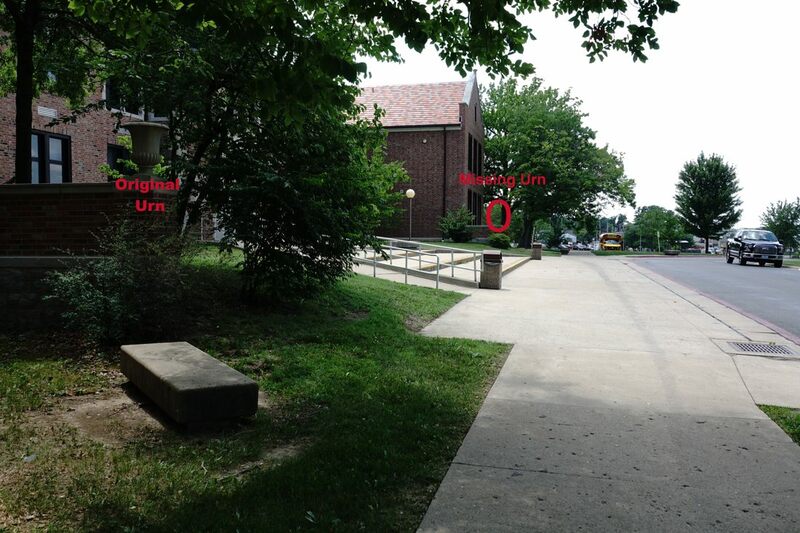 The whereabouts of the missing urn is unknown, but we know it disappeared. 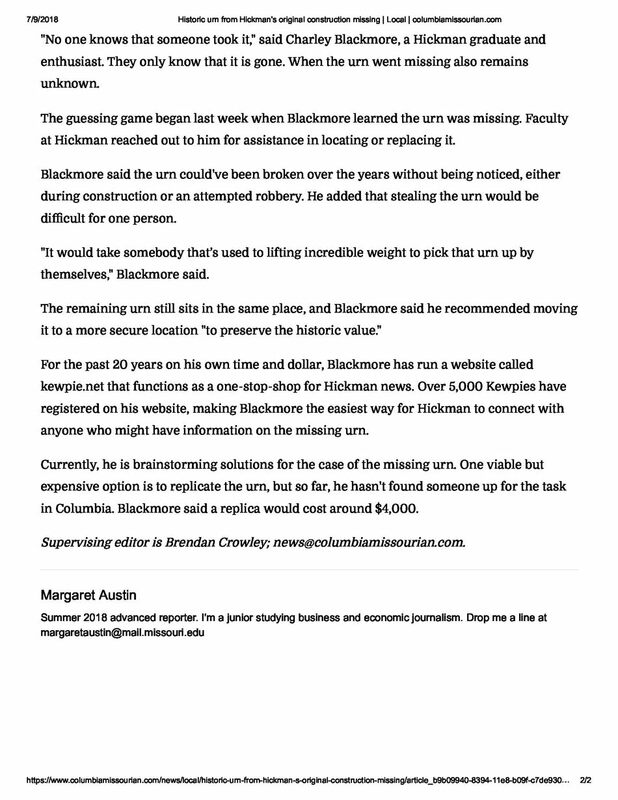 The administration at Hickman has exhausted local resources for a replacement and their budget won't allow the amount of $4,000.00 which is what they have been told creating a new mold could cost. I am looking for a match to the existing urn or for certain a much better price than the 4K for cloning the original. If you can offer any help with this issue please contact me at charley@kewpie.net or Sharon Dothage at HHS at SDothage@cpsk12.org. You can also call Hickman at 573-214-3000 and press "0" for Sharon. 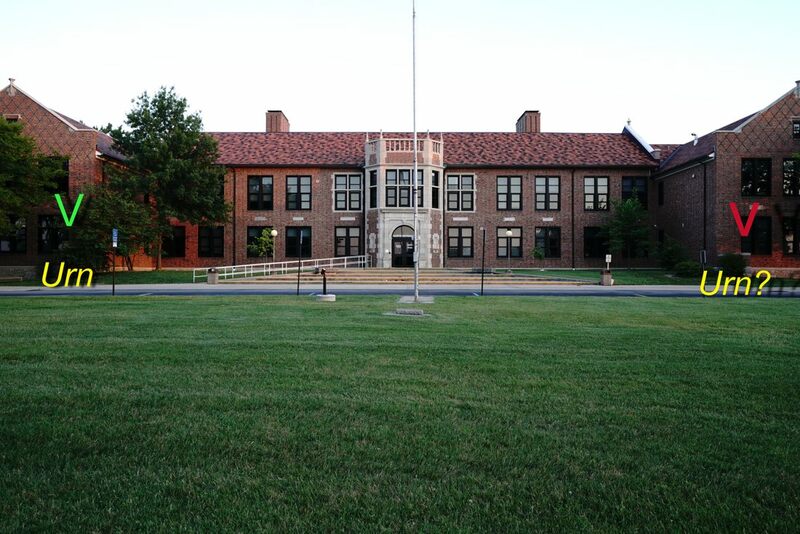 We are working on updating the landscaping and look of the grounds at Hickman. During the tour with a landscape designer we discovered that we are missing an urn from the west side of the north side of the original part of the building (see attached photos). Our guess is that the west urn was damaged or stolen. In our research to try and find a match to the urn on the east side of the north entrance we have run into stumbling blocks. Premade urns we have looked at are not the correct size and would not match. We have called various companies that either sell urns or could, maybe, make them. None of them could give us a concrete anwer at this point. Would it be possible for you to send out an email to the alumni and see if anyone in the country has seen an urn that would match, give us a source that we could purchase a matching urn, let us know if there is a matching urn sitting somewhere that we could use, know of a company that could make us a matching urn, etc. We have been told that a mold would cost up to $4000 and that would be beyond our budget means. 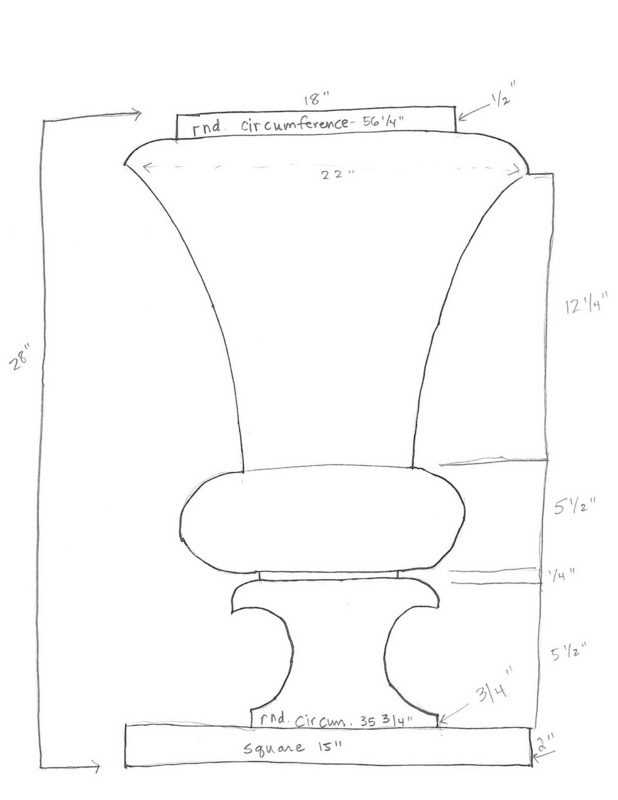 I am attaching a drawing with the dimensions of the current urn so you can see what size is needed.